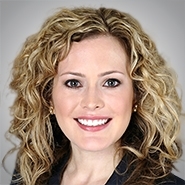 TAMPA, FLA. - The national law firm of Quarles & Brady LLP today announced that Cassidy E. Jones has joined the firm's Tampa office as an associate in the Commercial Litigation Practice Group. Prior to joining the firm, Jones was an associate with DLA Piper LLP in Tampa, where she concentrated her practice in the areas of commercial and civil litigation. She routinely handled matters involving government investigations and compliance, contract disputes, business torts, land use, franchise litigation, class actions and securities violations for regional and international companies. Jones received her law degree from the University of Florida Levin College of Law and her undergraduate degree in Journalism from the University of Florida.